AR (Augmented Reality) is the ability of inserting overlay physical and virtual information into the real word. With Augmented Reality, you can use your smartphone or tablet’s camera to see a layer of digital information on top of the physical environment. Although the history of AR can be tracked back to 1990, AR successfully drew our attention until recent years when some big firms like Google and Facebook invested huge capital in developing AR. 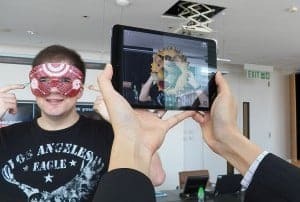 With the help of advanced AR technologies, the information about the real world surrounding a user can become interactive and digitally enhanced. 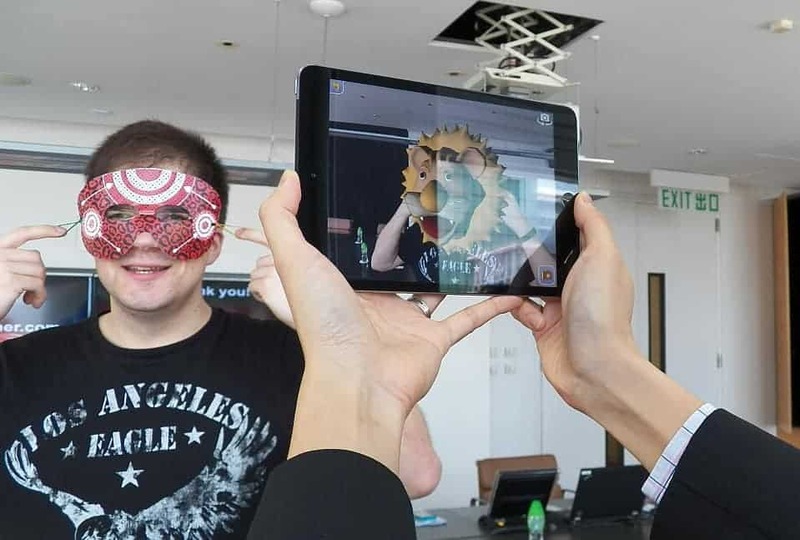 AR provides the toy industry with a revolution where toys can become more interactive, and users’ smartphones and tablets can become a part of the toys, enhancing toys’ functions without raising production cost. Also, via apps and in-app purchases of digital goods, players’ playing experience can be changed and furthered even after the purchase of the toys. 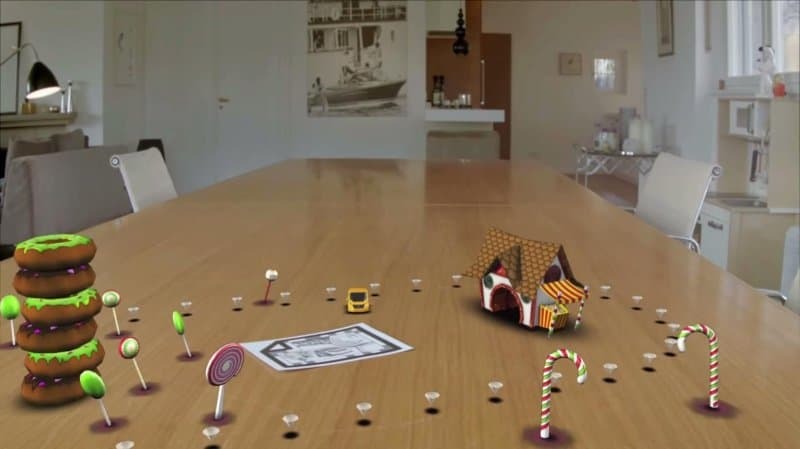 The AR app can also becomes a direct conduit for the toy company to reach the customers. Below is a survey of some examples of using Augmented Reality in toys. 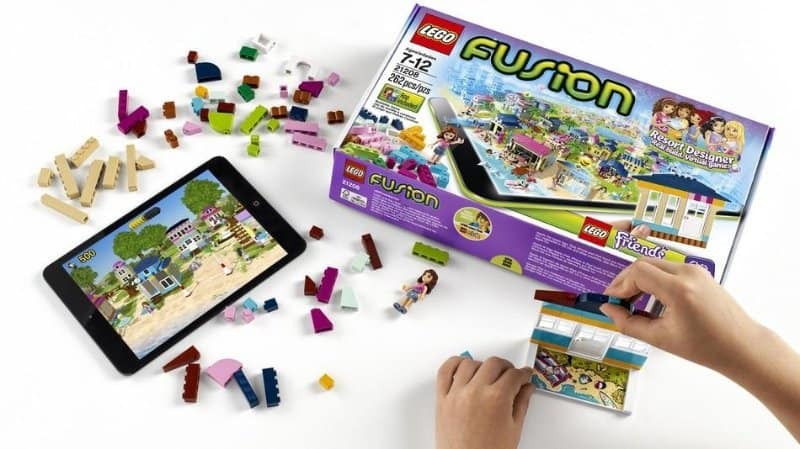 Lego utilizes AR to embellish the building blocks and increases creativity and real-world play with the LEGO Fusion. There are different kits and each of them has a specific set of LEGO bricks, a corresponding app, and a special “capture plate,” a small building plate with a printed design that allows the device’s camera to identify the size and colors of the LEGO bricks built onto it. 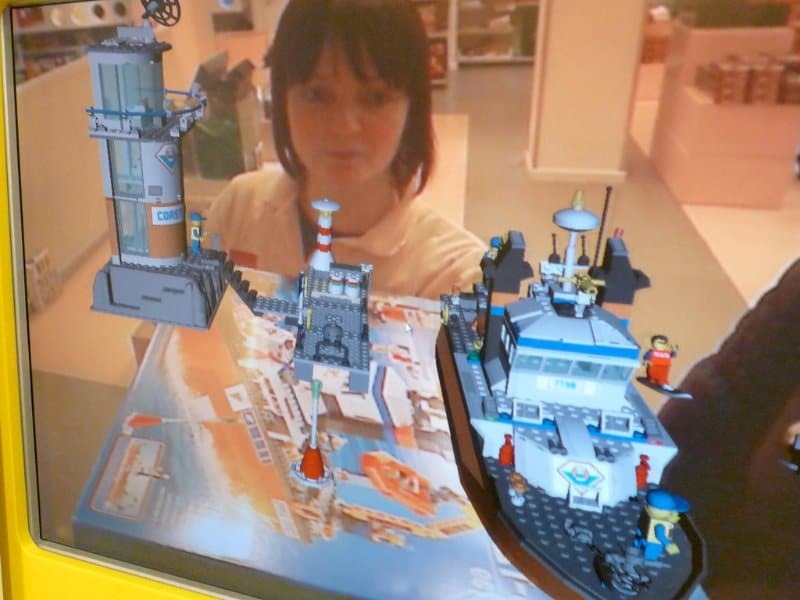 Lego also uses AR to visualize the entire model, and in an animated way. It shows how the model will look like when built, so that customers can get a clear picture of what they are going to buy. This is an educational toy which targets children by providing an interactive and interesting way to learn more on animals and ecosystem. By scanning the flash cards designed by Dr. King Zoo with the mobile device’s camera, children can see 3D vivid animal on the mobile screen and they can take pictures with those virtual animals. More interestingly, cards can interact with each other if they are paired together in a logical combination, e.g. a virtual cow eating virtual grass. Pokémon GO is different from the original Pokémon games of which players only focus on the screen. Pokémon GO players have to find and catch Pokémon that are lurking right in their very own cities. They will receive a notification on their smartphone or on a small Bluetooth-connected device called Pokémon GO Plus when a Pokémon character is nearby. Players know how far the characters are. They can hunt it down and add it to their collection. Pokémon GO also shows other players catch, trade, and battle their monsters in the real world by utilizing location/GPS information. This is a digital fish tank toy produced by Takara Tomy, a renowned Japanese toy company. It makes use of AR and the screen of the smartphone to project an interactive image to create a new type of gameplay. 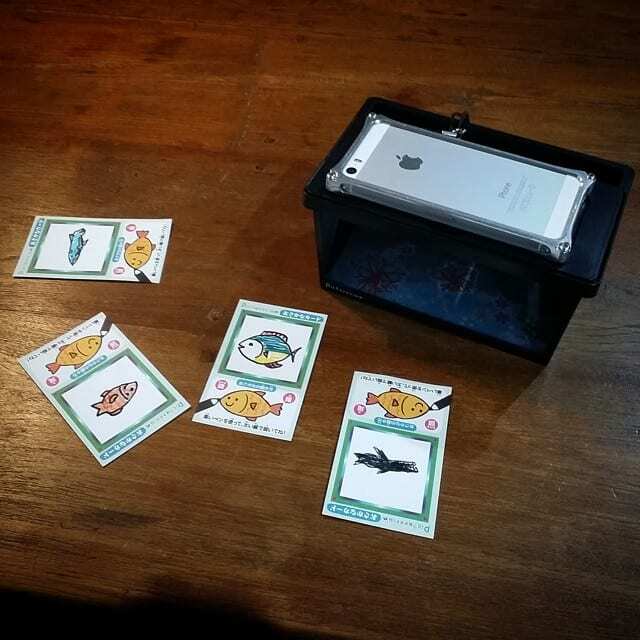 Draw the cards and scan them with the camera of your phone, the fishes will be shown on the screen of the Picturerium. AR makes the fishes you drew swimming in the aquarium in a funny way. You can also scan food cards to feed your fishes and add your own photos to the faces of the creatures in the Picturerium, transforming yourself into different marine animals. Toy Car RC starts by printing simple patterns with standard printers and placing those patterns throughout the play area. A special track will show up on the screen when you open the app and scan those patterns. This app unleashes children’s creativity by letting them to create their own tracks. It’s a fierce battle of monsters by using a set of collectible cards in Augmented Reality. Images from the real world are mixed with virtual images to demonstrate how monsters battle with each other. The battle starts when cards enter the arena. The unique feature of AR makes this card game differ from the original card-only game by considering the placement of cards and the angle of attack as factors of damage level. It makes the game more interactive, interesting and challenging. 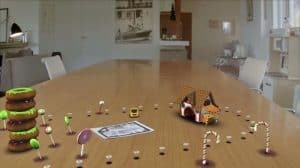 Can you think of any new applications of AR in toys? Let’s see the possibilities!